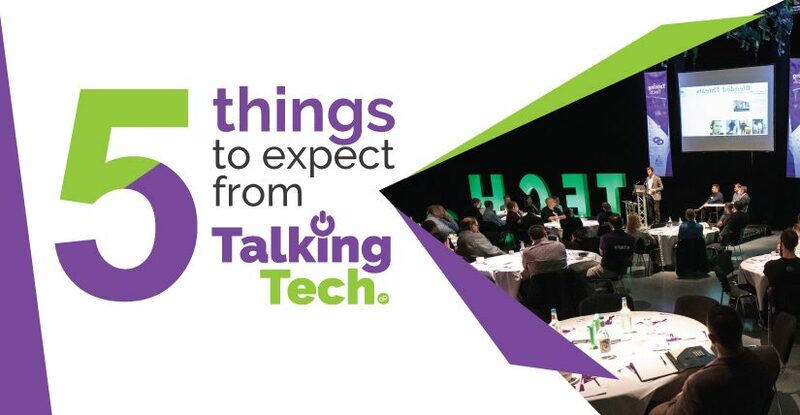 At the time of writing this we have less than 50 days to go until our third Talking Tech event in under a year and we’re busy finalising our speakers and panelists. If you’re not familiar with the event, then let us quickly introduce it to you. Our attendees range from a variety of senior IT positions. These range from IT managers to senior cloud architects to CIOs. We have no doubt that you’ll have given and received useful information from your industry peers! Being in a roomful of your peers and industry leaders, Talking Tech covers topics that we hope you’ll gather real takeaways from. What’s more, our event runs from 8.30am to midday, giving you the time to head back and share new knowledge with the office. Our ethos from the start has been that of making sure that no one is pushing their services. Even the speakers. This isn’t an event where you’ll get vendors selling you a product. It’s genuine information gathering. We’re very careful about who we let in. So if you have a sales agenda, don’t even bother! This isn’t so much an event that you’ll be attending. It’s one we hope you participate in. We put on panel discussions so you get your say; not just a Q&A, a proper discussion. That’s what Talking Tech is about. After the event, a closed group is available on LinkedIn for participants to steer topics for the next event. Our events are free. And they say there is no such thing as a free lunch, and they may be right! However, we do lay on free breakfast and refreshments throughout. Ready to sign- up now? Head to our events page to secure your place!